I had planned to make this drink with tequila, until I realized that I didn’t have any. I substituted with gin and it was heavenly! The honey syrup gives just the kiss of sweetness to the gin, and makes the drink deliciously fragrant. There is a Prohibition era cocktail called a Bee’s Knees, which is similar to this, but contains lemon juice instead of lime juice. This is less acidic – in fact it slides down so easily that if America’s Table had an official cocktail, this would be it. Combine ingredients in a cocktail shaker and shake with ice. 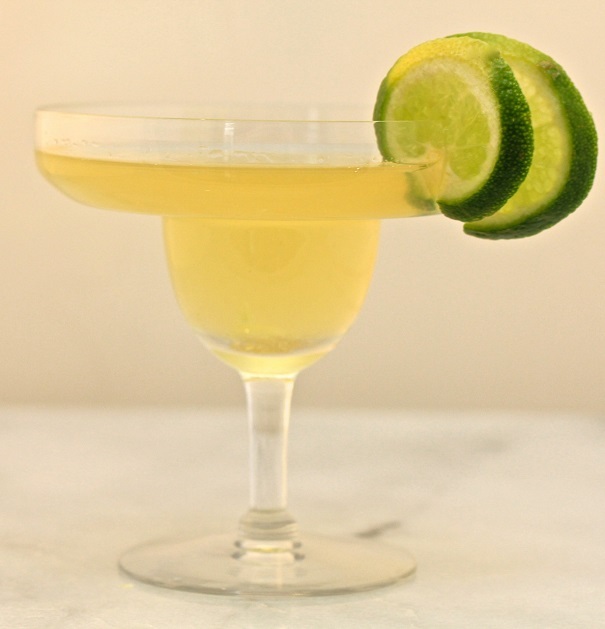 Strain into a glass, and garnish with a wedge of lime. Heat ¼ cup of honey with ¼ cup of water in a small saucepan to melt and thin the honey. Reserve remaining syrup for additional cocktails.